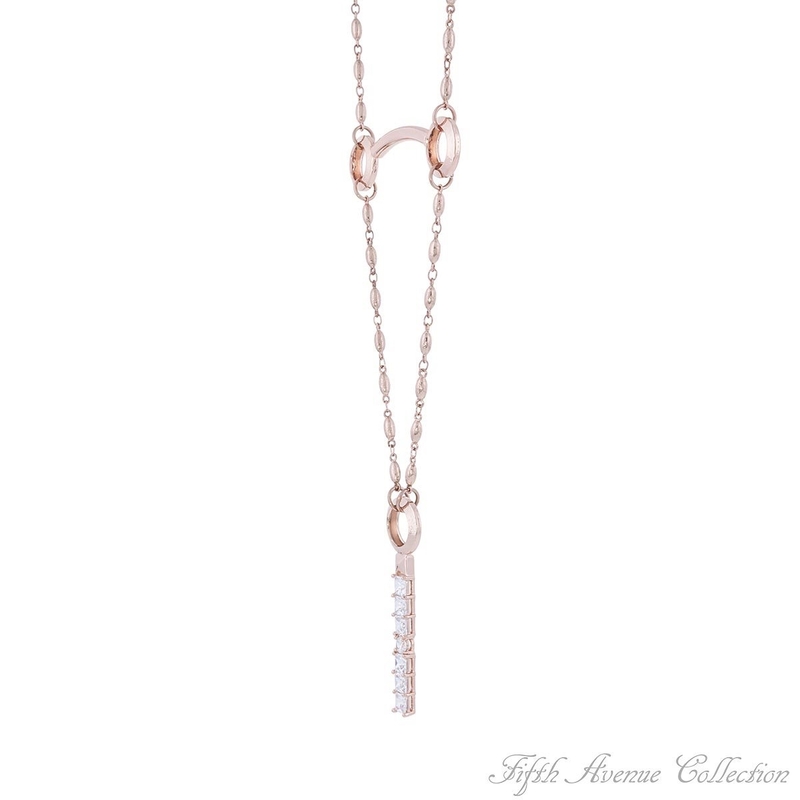 28 inches of designer rose gold finished chain with a unique, solid cuff breaking up its flow for maximum style, gives this neckpiece a certain wow factor. A brilliant pendant stacked with cubic zirconia gives sass and style a whole new dimension with this fresh and thrilling style composition. 28 inches of designer rhodium finished chain with a unique, solid cuff breaking up its flow for maximum style, gives this neckpiece a certain wow factor. 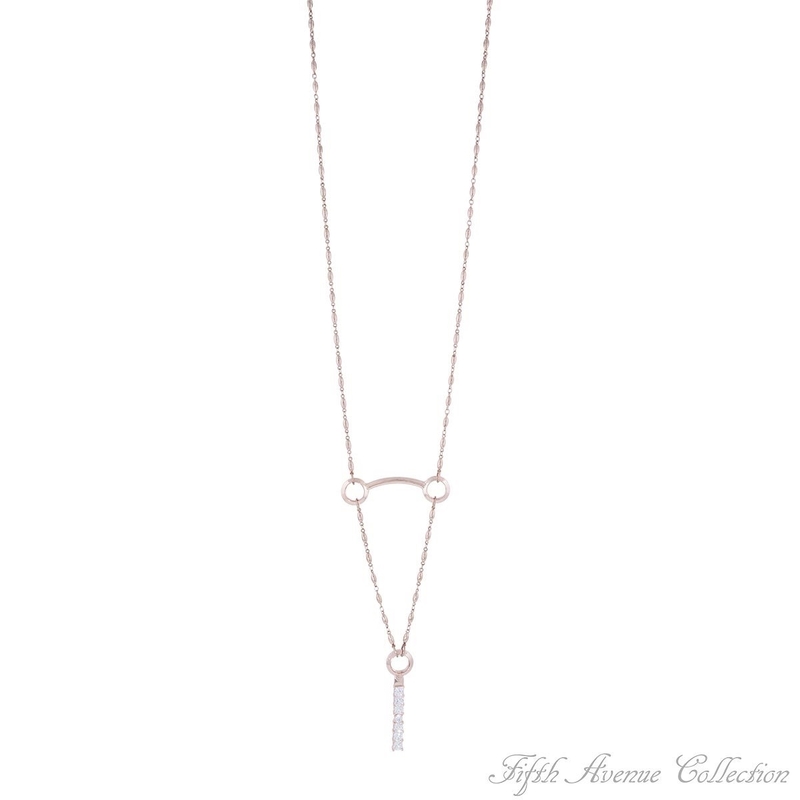 A brilliant pendant stacked with cubic zirconia gives sass and style a whole new dimension with this fresh and thrilling style composition.